Probably derived from Old Norse ið "again" and unna "to love". In Norse mythology Iðunn was the goddess of spring and immortality whose responsibility it was to guard the gods' apples of youth. Iðunn, also spelled Iðuna, in Norse mythology, is the goddess of spring or rejuvenation and the wife of Bragi, the god of poetry. She was the keeper of the magic apples of immortality, which the gods must eat to preserve their youth. When, through the cunning of Loki, the trickster god, she and her apples were seized by the giant Thiassi and taken to the realm of the giants, the gods quickly began to grow old. They then forced Loki to rescue Iðunn, which he did by taking the form of a falcon, changing Idun into a nut (in some sources, a sparrow), and flying off with her in his claws. ipsum dolor sit amet, consectetur adipiscing elit. Curabitur pharetra dapibus pharetra. Donec interdum eros eu turpis pharetra et hendrerit est ornare. Etiam eu nulla sapien. Nullam ultricies posuere nunc, eget mollis nulla malesuada quis. According to Old Norse mythology, Hel is the ruler of Helheim, the realm of the dead and is known to all Germanic folks including the Goths. A gothic word for witch was Haljoruna or Hel runes. It is likley that Hella remained a goddess of the Germanic netherworld for a long time. Her name means to hide as she is the concealer. Hella is the youngest child of the trickster god Loki and the giantess Angrboda. 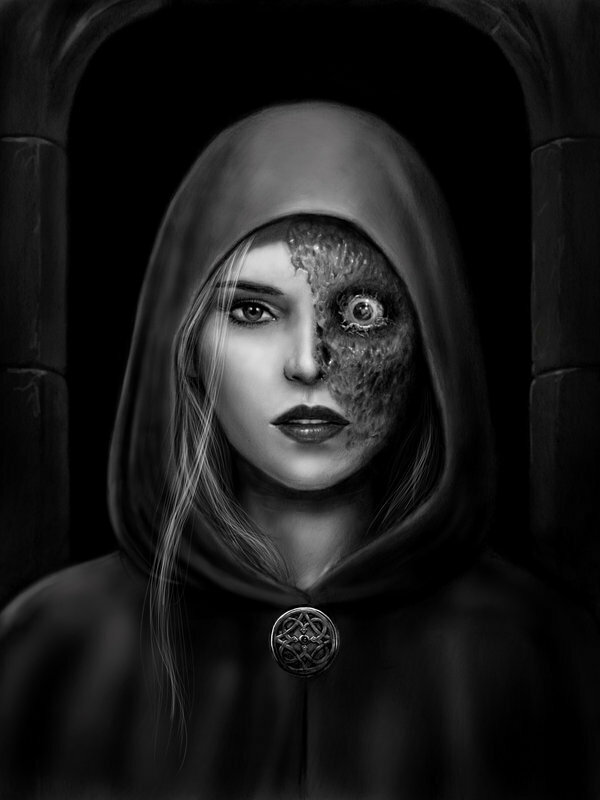 Hel is usually described as a horrible hag, half alive and half dead, with a gloomy and grim expression but this is not entirely correct for in my personal encounters with her, she was anything but a beautiful being of the Germanic netherworld. It has been said that her face and body are those of a living woman, but her thighs and legs are those of a corpse, mottled and moldering. Not true at all and if you have walked the road to hel, I am pretty sure you will be in for a rather huge surprise. Death is change not de-composition. A personal point of view from my own experiences with this goddess Queen of the underworld is that she chooses to appear to those who seek her out as either hideous or very beautiful. I have witnessed both forms and trust me when I say this, you do not want to see her hideous form. As a goddess of death, hella is not merely the receiver of the dead, on occasions she chooses to claim them herself. During the Black Plague which ravaged Norway and other parts of Scandanavia, Hella is said to travel the countryside with a broom and a rake. Apparently if Hella uses her broom everyone perishes, if the rake, some survive. If I could ascribe three runes to Hella it would be ᚺ Hagalaz, ᛒ Berkano and ᛁ Isa. I have met Hela three times but she chooses how she appears to you. This life is not the first time I have died, so I wonder why people who work magic are so afraid of her? 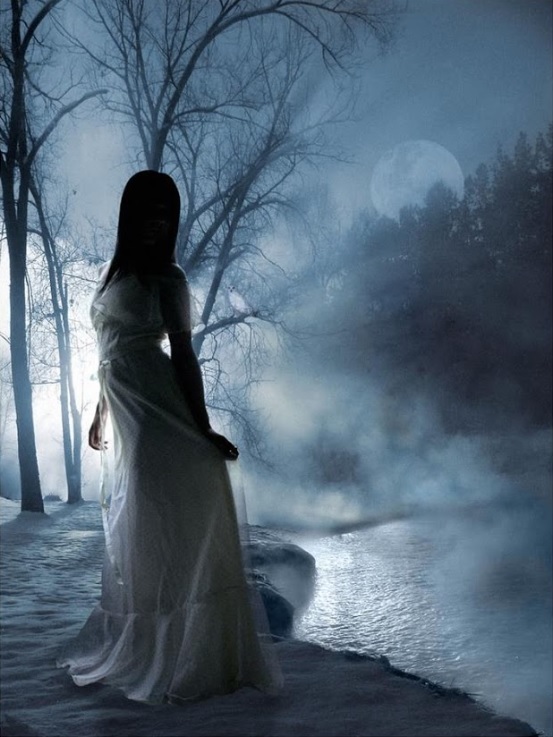 Eir (pronounced AIR) is the Norse Goddess of healing. Eir is one of Frigga‘s twelve handmaidens, and is also named in a list of the Valkyries. Eir was called upon for healing especially by women, and any woman who climbed the mountain on which she lived would return healed. Her name, which means “mercy,” is also seen as Eil, Eira, Eria, and Eyra. I would suggest also that Eir is very much the healing goddess to call upon for warriors wounded by the trauma of Post Traumatic Stress Disorder or PTSD. Eir's dominion over the mentally wounded is very much under rated but if indeed she is also a Valkyrie, the battle slained in mind would do well to call on her aid.